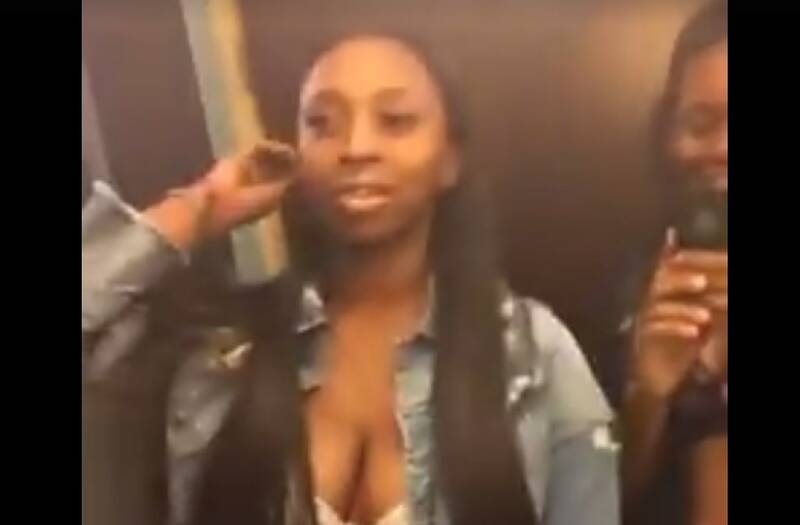 Police are investigating a Facebook Live video that appears to show Kenneka Jenkins, the Chicago teen found dead inside a walk-in freezer, in a hotel room with a group of people before she went missing. In the footage, a woman wearing mirrored sunglasses is seen smoking and talking to the camera. The other side of the hotel room can be seen in the girl's glasses. In the background a woman who looks like Kenneka appears to be sitting on a bed. The video was been viewed millions of times and shared on social media. Most of the commenters believe some form of foul play happened in the room, but police have yet to confirm this. Rosemont Police Department spokesman Gary Mack told the Chicago Tribune that investigators are reviewing the video and they have identified most of the people seen in the footage. "Yes, they've looked at it and continue to look at it and all the other social media videos and posts," Mack said "They are leaving no stone unturned as far as trying to corral everyone they can and talk to them and interview them about what happened and what was going on that night." Kenneka, 19, was found dead around 1 a.m. on Sunday inside a walk-in freezer at the Crowne Plaza Hotel. She had been attending a party there Friday night with friends and went missing early Saturday morning. According to the teen's mom, Tereasa Martin, police told her Kenneka was intoxicated and let herself into the freezer and died inside. The freezer, which was not being used to store food, was located in a construction area of the hotel. Mack said he's not sure if the freezer had been turned on, and investigators are not saying who found the body. Martin, however, believes something else happened. She told the Chicago Tribune during an interview on Monday that hotel staff and police waited hours before they started searching for Kenneka. The teen's body was discovered almost 24 hours after she went missing. "If they had taken me seriously and checked right away, they could have found my daughter much sooner and she might have been alive," she told. Martin also said Kenneka's friends changed their stories "over and over." According to Martin, she received a call from her daughter's friends around 4 a.m. on Saturday that Kenneka was missing. Martin said the friends had left the hotel in the car she had let Kenneka borrow. The friends also had the teen's cell phone. "I believe someone in this hotel killed my child," Martin told WGN-TV. Police spokesman Gary Mack told the Tribune that it may take weeks to determine what happened to Kenneka and the medical examiner's office is still awaiting toxicology tests. An autopsy performed Sunday failed to determine her cause of death. "I don't think anything has been ruled in or ruled out at this point," Mack said. "It's just considered a death investigation at this point." Rosemont Police did not return the Daily News' request for comment.